In 2002 founder and Master Brewer Dougal Gunn Sharp was asked to create a beer to mature in bourbon barrels to impart a sweet, malty flavour. This beer would then be thrown out, and the barrels would go on to age spirits. What if the beer was actually getting better whilst in the barrel? Turns out, he was absolutely right and Innis & Gunn was born in 2003. Beer usually has 4 ingredients – malt, hops, yeast and water. 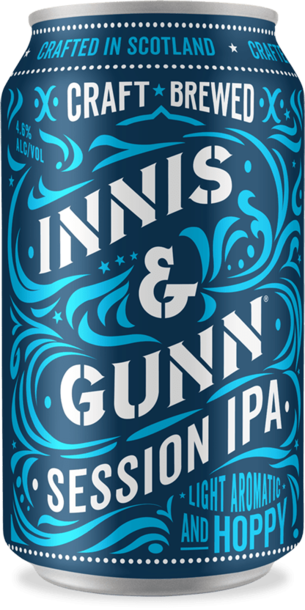 For Innis & Gunn the barrel is the 5th ingredient, the 5th element. When used in the right way, when matched against the right beer style, barrel ageing can create an explosion of flavours and aromas in the beer. They have pioneered two ways of barrel ageing; one is the more traditional method of filling selected barrels with beer, and the other is cutting edge technology in which they actually put the barrels into the beer. 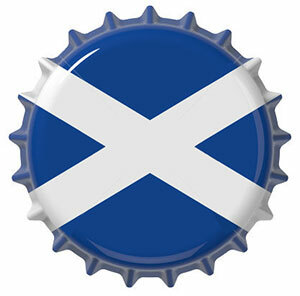 In 2013 Barrel-ages line up was joined by an award winning Lager beer, which soon became the fastest growing Lager in Scotland and was swiftly followed by IPAs. Blood Red Sky sets a scene. Warm Caribbean sand, flickering candles, cold beer and anticipation of the night to come. Jamaican rum barrels meet Scottish red beer in an explosion of cool, spicy rum notes, vanilla, chocolate and rich fruit. All the vibrant hop flavour of a West Coast IPA, but a bit softer on the taste buds (and your head the next day) Light, aromatic and moreish by adding ridiculous amounts of Citrus, Simcoe and Centennial hops late in the brew so that it’s packed with tropical grapefruit, berry and lemon zest character.